#WHERESTHELOVE (feat. The World) partitura por The Black Eyed Peas e outros está sob. 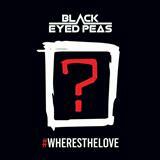 Temos 1 arranjo de #WHERESTHELOVE (feat. The World) Piano, Voz e Guitarra Partituras Digitais.